I’m going to start this blog with the disclaimer that I usually don’t accept blog awards and shy away from them for a variety of reasons. That said, Marjorie caught me at a weak moment and I graciously accepted. 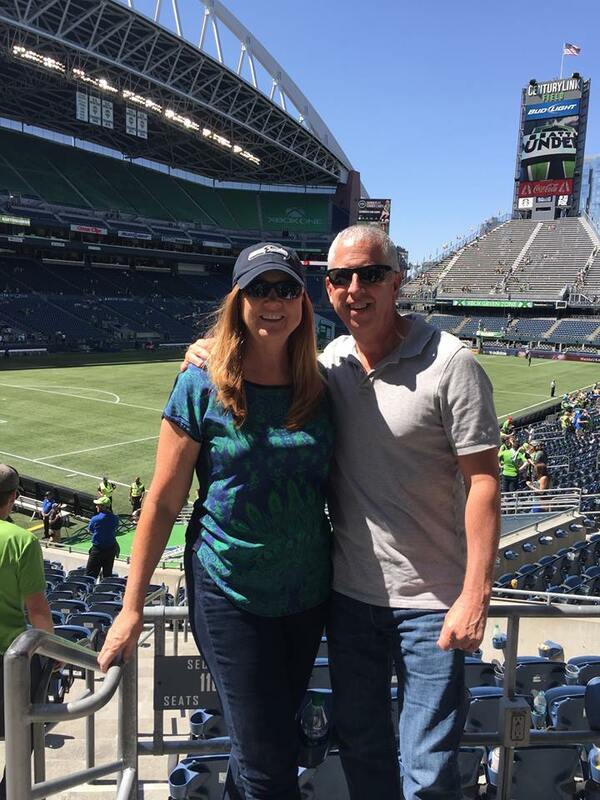 I’m not sure if it was the sea air of the Pacific Northwest, boating, food, friends and family or what, but we were in Seattle last weekend enjoying all of the above when Marjorie nominated me and in a weak moment, I graciously accepted. 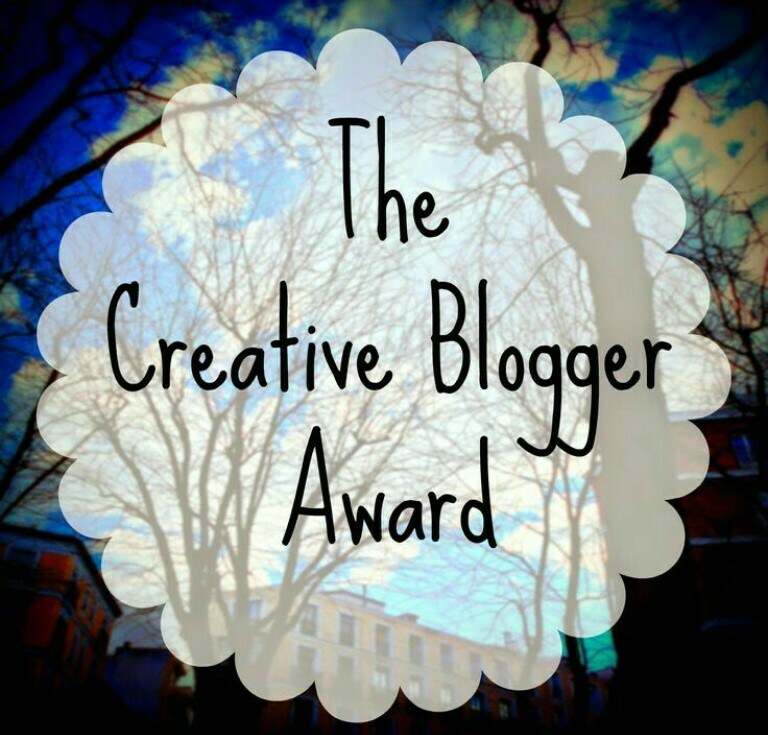 I think it’s the title that did it…Creative Blogger Award….Ok Kirt….whatever!! I would like to thank Kyrosmangica for nominating me!! If you’re not familiar with Marjorie’s blog, I encourage you to check it out…I have so enjoyed her posts!! As part of the rules (*official rules…see below), I have to post 5 facts about myself and that’s where the “oops” comes in. I thought it would be fun to share with the planet one of my recent “what a stupid thing you have done or also known as what were you thinking” events so everyone can realize they aren’t the only ones who make really dumb mistakes…don’t you love the way I have now pulled everyone into that category. I will be grossly surprised if many (or anyone) has done this one…it took me 61 years to pull it off, so there is time left for most of you!! (Fact One) About a month ago, I accidentally shaved my head. The key word is accidentally!! It started with just a large swipe on the right side of my head from the ears up. A little background….I keep my hair short and have had the same guy cut it for 20+ years. Then we moved to the Phoenix area and I started going to a generic hair cut place. Things went well for the first six months and then one of the barbers gave me what I call a butcher job. Even our friends and family called it a butcher job. I’m really not that into my hair as it grows fast and again I keep it short…so brilliant me decided I could cut my own and do better than that person. As it turned out, I could and did…fast forward to last month. (Fact Two) My short-term memory isn’t the best, (Fact Three) I’m easily distracted when bored and (Fact Four) I don’t multi-task well. I was standing in front of one of our bathroom mirrors with the electric hair cutting razor and started to cut my hair. It was pulling my hair and not cutting it, so I knew enough to turn it off and get the oil out for the clippers. I removed the plastic guard (which determines the length), oiled it, ran it a few minutes and just as a bird flew very close to our bathroom window (distracting my attention), I put the razor to my head and cut a nice wide stripe up the right side of my head forgetting that I hadn’t put the plastic guard back on. Imagine the look of horror on my face (which I clearly saw in the mirror) when I realized I had cut that stripe to the skin. (Fact Five) Apparently I have a penchant for drama as I sent the following text to my wife at work: “I had an accident this morning…no I’m not hurt and nothing is destroyed…but I wanted to give you a heads up so you wouldn’t walk into the scene blindly. I did a Kirt thing and really messed my hair up…really messed it up…I thought the plastic thing to determine the length of hair was on the razor…it wasn’t and I ran the razor up the entire side of my head in sheer horror…after I was done crying, I looked back in the mirror and my crying jag started all over again. Hope your day was good…mine hasn’t been”. So at that point one can only finish the job and shave the entire head. I have a nice shaped head. Mentally prepare yourself for the shaved head looking back at you whenever you pass a mirror or it will scare you. Family and friends don’t hide their facial reactions to your new look well and acquaintances don’t recognize you. One can’t take life too seriously!! 3. Nominate 10 other blogs and post their link. 4. Notify all the nominees via their social media/blogs. 5. Pass the rules on to them. 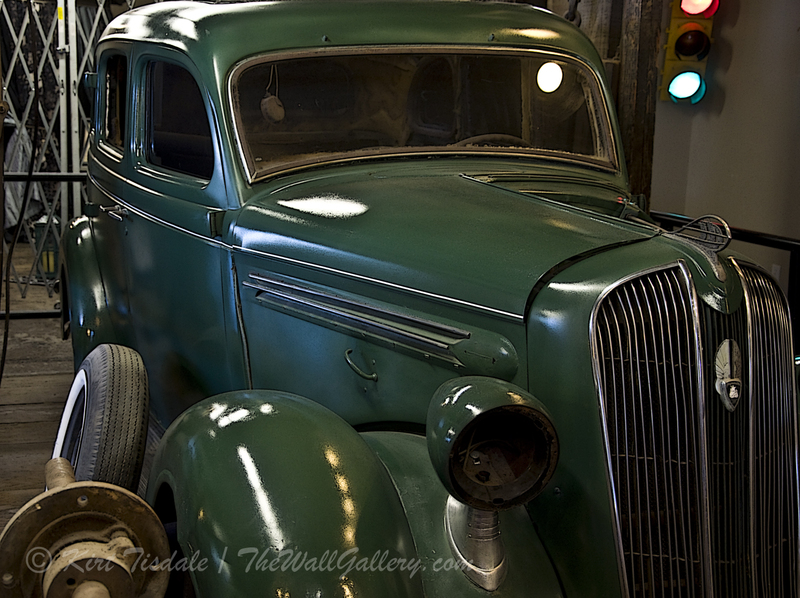 This entry was posted in Color Photography and tagged artist kirt tisdale, awards, cutting hair, hair, online art gallery, photographer, photography on June 26, 2015 by Kirt D Tisdale. I wanted to share a photograph from a series I did when I was visiting family in Iowa. Being the avid hiker, I was hiking along the banks of a river and then up into the dense hilly woods that line the river. My family lives on the edge of the woods up in the hills in a neighborhood where this site is very common year around. I can’t tell you the amount of times I have watched numerous deer wander across yards without any hesitation. In this particular shot, I was coming out of the woods into the yard when I saw this lone deer pondering whether they wanted to come out into the open or not. I startled him (or her), but since I always have my camera on me when I hike, I got a series of shots and have posted this one in my Color Photography 2 Gallery and call it “Deer In The Yard”. 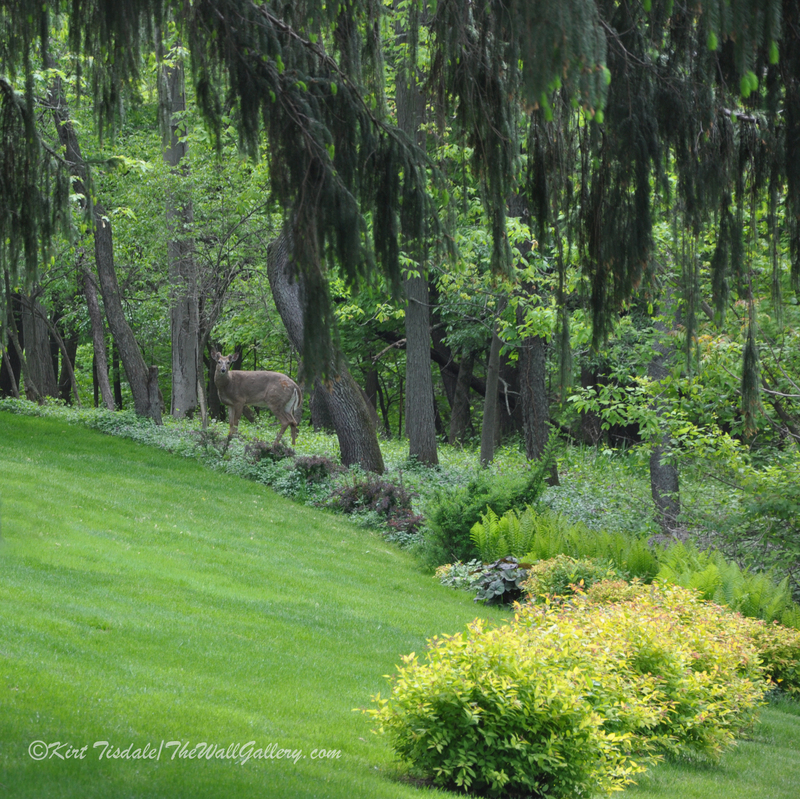 This entry was posted in Art Prints, Color Photography, Photography and tagged Deer, forest, Iowa, kirt tisdale, online art gallery, photographer, woods, yard on June 22, 2015 by Kirt D Tisdale. This week, I wanted to feature a new print in my Gardens Gallery titled: Garden Table. I created this art print using a gothic oil technique with warm earth tones creating an old world look. I thought it would be a good look for this scene. The scene is an outdoor kitchen and patio that was done in a Spanish style, which is highlighted by the fireplace. The arched door is from an old adobe structure that the owner rescued and has as an entrance. The setting is Los Angeles where you have many evenings and nights to enjoy family and friends under the stars. At the center of this art print is the table itself, thus the name. To extend the usage of the space, the fireplace creates enough heat to enjoy sitting down to a gathering almost year round. Thoughts? 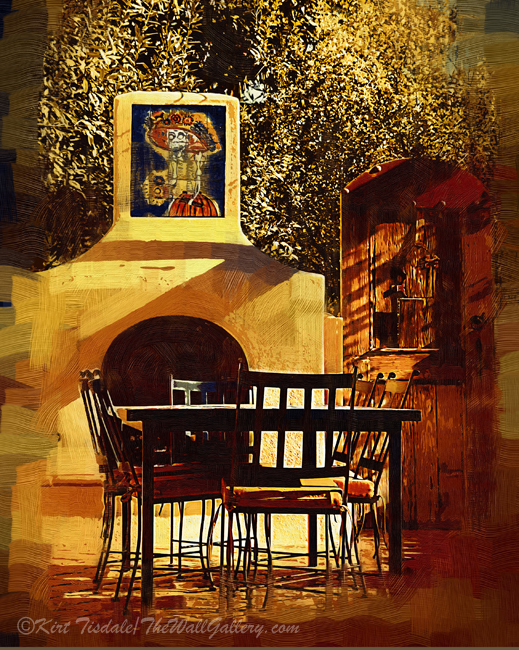 This entry was posted in Art, Art Prints and tagged art gallery, art prints, artist kirt tisdale, interior design, oil painting, online art gallery, outdoor kitchen, patio on June 18, 2015 by Kirt D Tisdale. This verse was written for the struggles the Israelites were going through as described in the Old Testament, but just as pertinent today as we each face some type of struggle or issue. 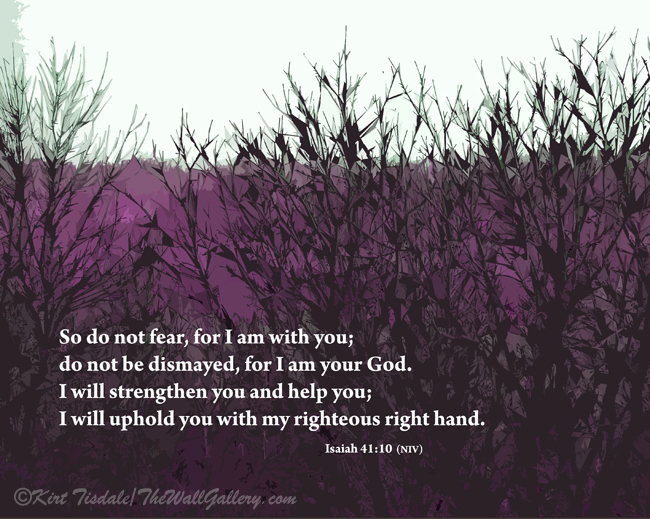 I came across this bible verse as a reference in something I was reading and I liked it as a reminder that we are not alone on our life journey. My attempt is to create visual reminders that make us stop and pause to reflect as we get ourselves too stressed or worried about situations in our life. Again, as I mentioned last week, the process for these inspiration art prints happens in various ways. With this particular print, the verse was stuck in my head and I was searching for the right piece of art to put it on. 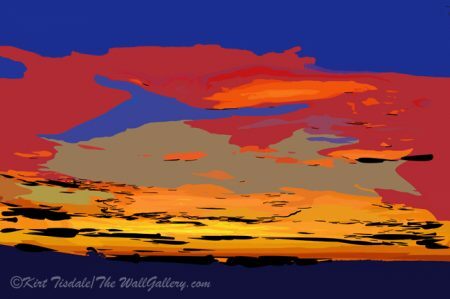 Without coming across it, this art print popped into my head and I remember thinking; “An abstract print?’ Hmm…not sure.” But, not one to ignore that little voice in my head, I pulled it up and knew it was right. It may not be obvious and this may sound like a justification for that little voice, but whatever….here goes: The print has an edgy look and feel to it because of the abstract shapes of the barren tree branches. A little chaotic and harsh, yet the purple pulls it together and softens it up. The exact situation we find ourselves in as we seek peace from the struggles of our daily lives. Thoughts? I invite you to visit my Inspiration Gallery to enjoy this print and many more. 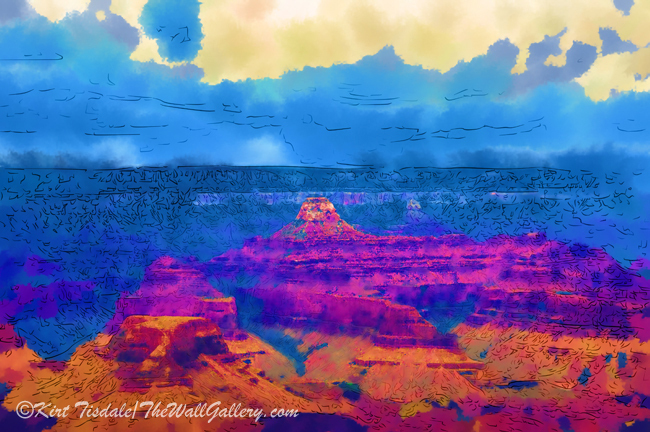 This entry was posted in Abstract Watercolors, Art Prints and tagged abstract art prints, artist kirt tisdale, bible verse, inspirational, kirt tisdale, online art gallery, religious, spiritual on June 13, 2015 by Kirt D Tisdale. What a great reminder of the peace that is available to us through faith. I don’t know about you, but I find myself getting stressed and overloaded with all of the things we encounter in our everyday lives. We all have something…whether it be a health issue with yourself or a loved one…problems at work or with a marriage or just everyday living and trying to make ends meet. 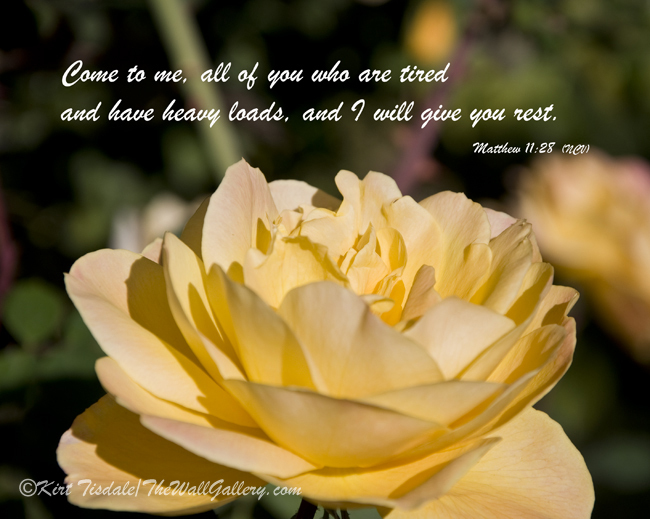 The world is broken and filled with problems, but we have refuge and whenever you feel the need to rest, remember this quote from the bible. I also wanted to share the process I go through when I create a new art print for my Inspiration Gallery. No two prints ever get created in quite the same manner and here’s what I mean. Often I will come across a bible verse or a personal prayer of mine that I think would make a great inspirational quote and then I search through my collection for the appropriate print. Somehow, when I find the correct match, I just know it. I also do it in the reverse way as I did with this print. I go through my collection looking for something that speaks to me as a potential and keep that in mind. In this case, I was going through some of my color photographic prints and stopped at this one. What hit me was the way I cropped the original picture with the space at the top and I remember thinking…”That is a perfect space for a quote in my Inspiration Gallery”. Shortly thereafter, I came across this verse and knew I had a match. What could be more symbolic of rest than relaxing in a rose garden? The other methodology I use may sound a little strange, but sometimes both verse and art print pop into my head simultaneously and I know I have to go with it. Ultimately, what I am trying to create, is an artistic reminder for those times (all too often, unfortunately) when we are overwhelmed and need that quick visual that we aren’t alone on this journey. Thoughts? This entry was posted in Color Photography, Photography and tagged art prints, biblical quotes, christian, inspirational, inspirational quotes, kirt tisdale, motivational, online art gallery, photographer, spiritual on June 8, 2015 by Kirt D Tisdale.